Advertising space is at a premium. 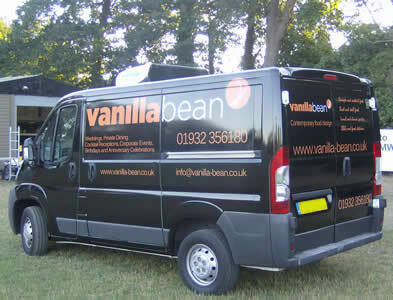 Why not use the free space available on your company vehicles to get noticed? Appearances are everything – an eye-catching vehicle livery will provide invaluable brand awareness. At a time when every penny spent on marketing must show a positive return, vehicle branding is by far the most cost-effective form of advertising; from simple text or company logo to high impact graphics or full wraps for maximum exposure. Full vehicle wraps have the added benefits of protecting the paintwork from stone chips, abrasions, scratches or UV damage, further enhancing their sell-on value once wrap is removed. 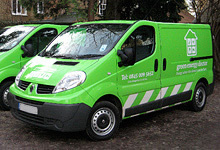 This client needed a specific green colour wrap matching his brand, for his vehicle fleet. This client wanted to change his van from plain white to black to enhance his logo and maximise exposure.